By Jennifer Gilbert . Published on November 08, 1999. Yet another dot-com is entering the online fray and, with the help of comedian Rodney Dangerfield, intends to command respect. BargainBid.com, an online auction site for products at wholesale prices, today launches its business as well as its $10 million ad campaign from Ruder Finn Design, a New York arm of marketing communications company Ruder Finn. 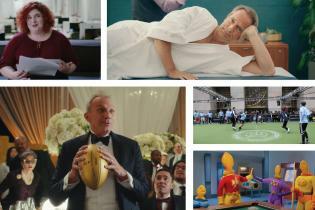 The campaign, which includes TV, radio, print, outdoor and online, is designed to position BargainBid.com as the place to go for "auctions with respect." Actor-comedian Rodney Dangerfield has signed on to be the campaign's personality and voice, said Manuel Jimenez, exec VP-business development. "There is significant investment involved in bringing in a celebrity, but it was worth the investment we made in Rodney because he's got such a recognizable voice," Mr. Jimenez said. "Nobody sounds like Rodney." Mr. Dangerfield, who has his own Web site at www.rodney.com, considers himself an asset to the company. "If they have a personality [that is] doing things, that makes it recognizable," Mr. Dangerfield said. "That's a good thing, not a bad thing." Mr. Jimenez said the company, which has strategic relationships with computer manufacturers and distributors that include Compaq Computer Corp. and Dell Computer Corp., needed a celebrity to get noticed. "Initially, for a company like us to go out without someone of Rodney's caliber, driving eyeballs to the site would be much more difficult," he said. "Creating and building a recognizable and successful brand is critical to the company. That's why we went out and looked at Rodney. We thought it would help us cut through the clutter." The campaign attempts to relay the message that consumers who are shopping for products on BargainBid, including new and refurbished computers, don't have to sacrifice customer service and a comfortable shopping environment for a lower price, he said. Kishor Chinchwadkar, co-chairman-CEO, and Robert Joslin, co-chairman-president of BargainBid.com, also are principals in Logicare, a wholesale computer trading company. Both executives have a stake in BargainBid. Other Web sites are hiring well-known people to get their brands noticed quickly. For example, HomePage.com, which provides free personal home pages, today breaks print and outdoor ads from Kalis & Savage Advertising, Pacific Palisades, Calif., that feature Bob Denver, who played Gilligan in the TV show "Gilligan's Island," and Jerry Mathers, who starred in "Leave it to Beaver." Actor William Shatner, best known as Capt. Kirk in "Star Trek," has been so successful as the spokesman for Priceline.com that the online bidding site's new agency, Hill, Holliday, Connors, Cosmopulos in Boston, is keeping him in the agency's first campaign for Priceline, expected to break this month. Respond.com, a shopping help service that connects buyers and sellers online, last week kicked off radio spots from Rathje Chadwick & Co., San Francisco, featuring comedian Paula Poundstone. And Flooz.com, which offers online gift currency that can be used at online retailers' sites, recently hired Whoopi Goldberg as the centerpiece of a campaign from Hanft Byrne Raboy & Partners, New York. "What celebrities bring to the table is instant credibility," Mr. Jimenez said. "They announce to the world that the company is different and will be moving through the ranks very quickly. You can't ignore someone like Rodney. He's not offensive -- everybody loves him." James Twitchell, professor at the University of Florida and author of "Adcult U.S.A.: The Triumph of Advertising in American Culture," noted that using celebrity spokespeople is not limited to dot-coms. "What you get at one dot-com, you can get at another. So [a celebrity] gives the properties themselves what they don't have, and that's differentiation," he said. On the dot-com horizon, Mr. Twitchell said, is the use of cartoons as spokespeople.